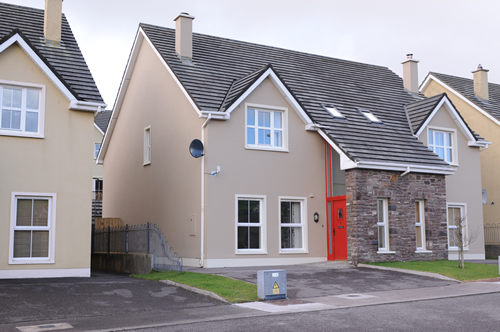 Ideally located and recently decorated three bedroom house positioned between the breathtaking Conor’s Pass and the charming Dingle Town. The phrase Cois Chnoic - near the mountain - comes from the locally spoken Irish language. The mountains peaceful surroundings listed on both of Ireland’s world famous routes: The Dingle Way and The Wild Atlantic Way, will leave you feeling relaxed and refreshed. 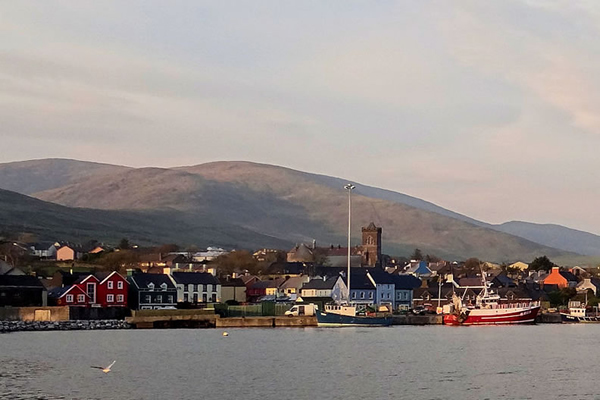 Located within a short 10-minute stroll from Dingle Town the house allows guests convenient access to Dingle Town’s award winning bars and restaurants. Dingle's vibrant cafes, modern supermarkets, boutique stores, and much more are all within walking distance. Designed and fitted to the highest standard, this spacious luxury self-catering accommodation welcomes up to 7 people and comes fully equipped with modern appliances. With three bedrooms, a guest bathroom, a large kitchen and an adjoining utility room our guests gain the complete home away-from-home comfort. Large sofas, unlimited Free WIFI, a 42" flat-screen TV and a warm electric fireplace make the living-room the perfect place to wind-down and relax. Dingle has proudly retained its traditional Irish culture and hosts multiple cultural festivals.